Juanita Fer nandez Solar was born in Santiago, Chile, on July 13th, 1900. From her adolescence, she was devoted to Christ. She entered the Monastery of the Discalced Carmelite Nuns at Los Andes on May 7th, 1919 where she was given the name of Teresa of Jesus. 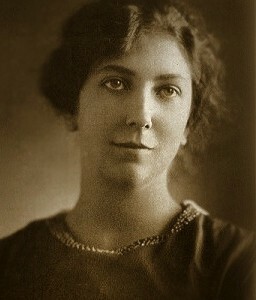 She died on April 12th of the following year after having made her religious profession. She was beatified by Pope John Paul II on April 3rd, 1987 in Santiago, Chile, canonised on March 21st, 1993 in St. Peter’s Basilica and proposed as a model for young people. 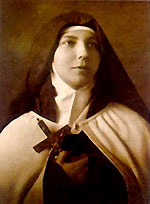 She was the first Chilean and first member of the Teresian Carmel in Latin America to be canonised. Is there anything good, beautiful or true that we can think of that would not be in Jesus? Wisdom, from which nothing can be secret. Power, for which nothing would be impossible. Justice, which made him take on flesh in order to make satisfaction for sin. Providence, which always watches over and sustains us. Mercy, which never ceases to pardon. Goodness, which forgets the offences of his creatures. Love, which unites all the tendernesses of a mother, of a brother, of a spouse and which, drawing him out of the abyss of his greatness, binds him closely to his creatures. Beauty which enraptures … What can you think of that would not be found in this Man-God? Are you perhaps afraid that the abyss of greatness of God and that of your nothingness cannot be united? There is love in him. His passionate love made him take flesh in order that by seeing a Man-God we would not be afraid to draw near him. This passionate love made him become bread in order to assimilate our nothingness and make it disappear into his infinite being. This passionate love made him give his life by dying on the Cross. Are you perhaps afraid to draw near him? Look at him, surrounded by little children. He caresses them, he presses them to his heart. Look at him in the midst of his faithful flock, bearing the faithless lamb on his shoulders. Look at him at the tomb of Lazarus. And listen to what he says to the Magdalene: ‘Much has been forgiven her, because she has loved much.’ What do you discover in these flashes from the Gospel except a heart that is good, gentle, tender, compassionate; in other words, the Heart of a God? Saint Teresa of Los Andes, one of my favorite saints! May she pray for you Sisters.